Let’s be partners and do great things! As your “Creative Partner,” we provide a full range of products that can satisfy all your business needs. 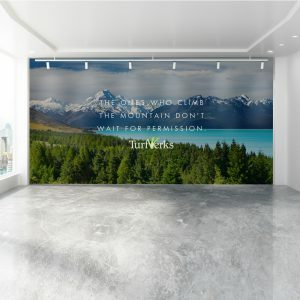 When we join together, our comprehensive partnership covers anything from graphic design services to creative idea generation, assistance in creating visual communications – on a wall, or in print – and even installation. Think of The Print Refinery as the first call you make when you need to co-create! With our creative assistance, competitive pricing, and problem-solving, we can deliver all your business printing and promotional products. As a one-stop local solution provider, our goal is to save you time and money, by being part of your creative team…without adding to your payroll. You’re never alone on new projects. We are here to offer full creative assistance and unique solutions. As your “Creative Partner” we provide a full range of products that can satisfy all your business needs. With our creative assistance, competitive pricing, and problem solving, we can deliver all your business printing and promotional products. As a one stop local solution provider, our goal is to save you time and money, by being part of your creative team…without adding to your payroll.